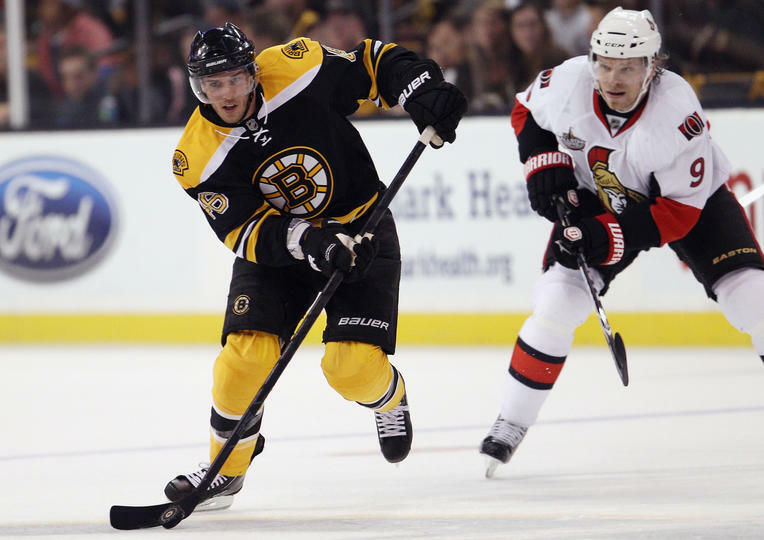 The Boston Bruins (3-7-0) will try to right their ship in their slow start to their Stanley Cup defense, while the Ottawa Senators (7-5-0) look to extend one of the franchises' longest winning streaks in the last two years when the two teams meet in Boston. 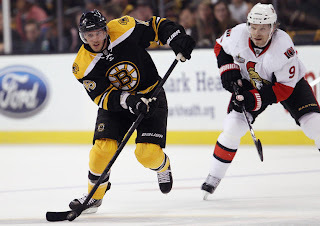 The Senators are lead into TD Garden by team captain, Jason Speeza, who leads the team with 15 points and 7 goals. Coming into their game against the Bruins, the Senators have a chance to win a seventh game in a row and take hold of first place in the Northeast Division. Boston, currently on a three game losing streak, has stumbled out of the gates in their post Stanley Cup campaign and sits in second to last place in the league. A major factor in the Bruins slow start is their offensive woes, the Bruins are scoring an average of just 2.10 goals per game. The defending champs may have their hands full against a Senators team that is number one in the league on the power play, and is scoring an average of 3.00 goals a game. Last season the Bruins went 5-1 against the Senators, three victories in shutouts fashion, and allowing just five goals in the entire series.